The Reverend Doctor Joseph D. Turner is the loving son to Ms. Margaret Weeden Turner and Deacon Johnny Turner, Sr. (deceased), who was raised in a large family in Chicago, Illinois. Dr. Turner is a visionary and proud Pastor of the Matthews Memorial Baptist Church, who proclaims God’s word with Holy boldness and effectiveness. He fervently understands the effect a good mentor can have on an impressionable youth and the congregation at-large. Dr. Turner has been in ministry for 33 years and served as pastor of Mt. 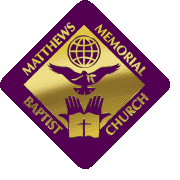 Moriah Missionary Baptist Church for 14 years; all the while his ongoing mentoring from his childhood pastor and several peer pastors have fueled his fervor for ministry and God’s people. Dr. Turner evolved as a leader under the mentorship of his pastor, Dr. William R. Lott, Sr., at Mt. Sinai Missionary Baptist Church in Chicago, Illinois. As a result of Pastor Lott’s mentoring, Dr. Turner accepted his call to ministry at age 15, and eventually went on to serve as Mt. Sinai’s Children’s Church Minister (1983–1986) before going off to pursue his education. He attended the acclaimed Bishop College of Dallas, Texas, and then went to Florida Memorial College, now Florida Memorial University, where he earned a bachelor’s degree in sociology (1991). He earned his Master of Divinity from Virginia Union University’s School of Theology (1994) and his Doctor of Ministry from United Theological Seminary in Dayton, Ohio (2003). A member of Alpha Phi Alpha Fraternity, Inc., Dr. Turner strives to be an exceptional example for others as he serves in various capacities. All who have met him know that that Dr. Turner is “real,” approachable, kind, and supportive. He believes in both the power of one and the power of collective work. He strives to shape individuals and build partnerships that will impact the lives of others. As a spiritual leader, mentor, and partner, Dr. Turner was instrumental in building coalitions within the Perrine community of Miami, Florida and now throughout the DC Metropolitan area. Under his leadership, Dr. Turner will collaborate with several churches to combine their efforts and resources to do corporate ministry and increase their outreach. Dr. Turner is the CEO of two nonprofit corporations, Joseph Turner Ministries and Pacesetters LLC. Both organizations are determined to change lives and edify the Kingdom through community and personal development initiatives. Through his corporations, Dr. Turner mentors aspiring Christian leaders and pursues his professional goals of fostering community partnerships; developing congregational health through family, group, and individual Christian counseling; and publishing related audio and written materials. One of his most popular publications is The Family Matters series, which looks at family dynamics from the perspective of wives (I Need You to Love Me), husbands (I Need You to Respect Me), parents (I Need You to Obey Me), children (I Need You Not to Frustrate Me), and widows/widowers (Before You Say I Do Again). A doting husband and present father, Dr. Turner has been married to Ms. Eugenia (Cheatham) Turner, of Richmond, Virginia, for 21 years. Despite many accolades, engagements, and accomplishments, he is careful to prioritize his family time. Dr. Turner’s relationship with his wife is impressive, exuding mutual respect, love, and admiration. It is evident that they are best friends, and together they are a great model of a mature love and fruitful union. 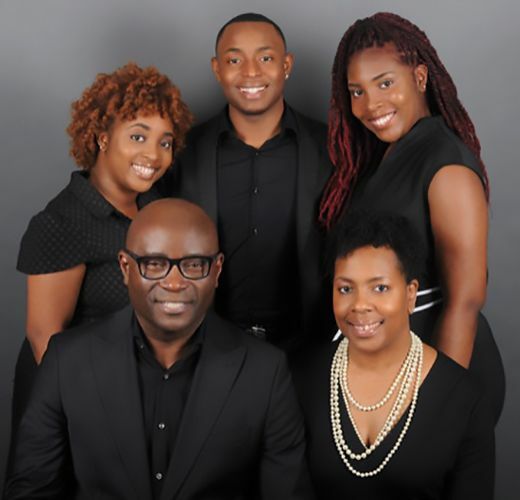 They have three children, Jaelin, Joseph II, and Jordyn, who are successful students matriculating into higher education and have developed their own delightful personalities and individual talents. The fruits of the spirit (love, joy, peace, forbearance, kindness, goodness, faithfulness, gentleness, and self-control) are evident in every member of the Turner family.